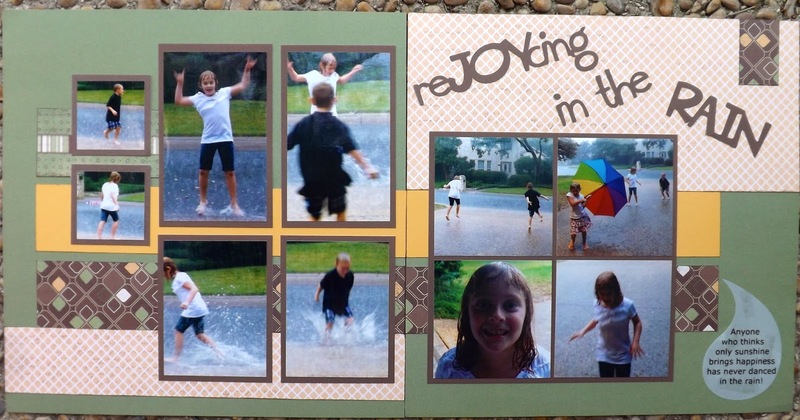 My R is the title, reJOYcing in the Rain! I have two sets of twins and do 2 books for them, one for my girls and one for my boys. Most of the time I do not make many layouts almost exactly the same! I vary them so I don't get bored! This day though I just wanted to create and get it done quick so it is the same layout, the same title and even the same Journaling, the only difference was paper and one picture and some picture placement! I really like the way the layouts turned out! I used the Pattern 4 from the Make it from Your Heart volume 2 book. I did have to alter it a little to work with my photos. The photos on the left I made taller and the photos on the right were supposed to be one photo and I enlarged that mat a little to accommodate my 4 photos. The title was funny, I thought about several different titles and the quote I put on the water droplet inspired the title. We have little rain here in SouthTexas in the summer and when we get a good rain like this one my kids are usually out playing in it! We were truly rejoicing in the rain, to make it more obvious that we were getting JOY from it, I misspelled the word reJoOYcing to emphasize the JOY and made it all caps among the lower case! It was a joy to get a little outside the spelling box to express the true feeling of the day! The top layout was made from Pemberly papers and the bottom was a promotion called You and Me. Pemberly is still available in Studio J! 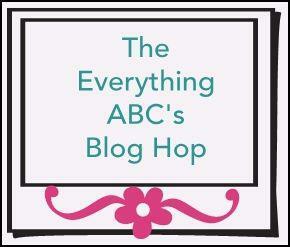 Your next stop on our Everything ABC'S blog Hop is Shelly Nemitz - Just One Piece. Great pages. I love your idea for the title!